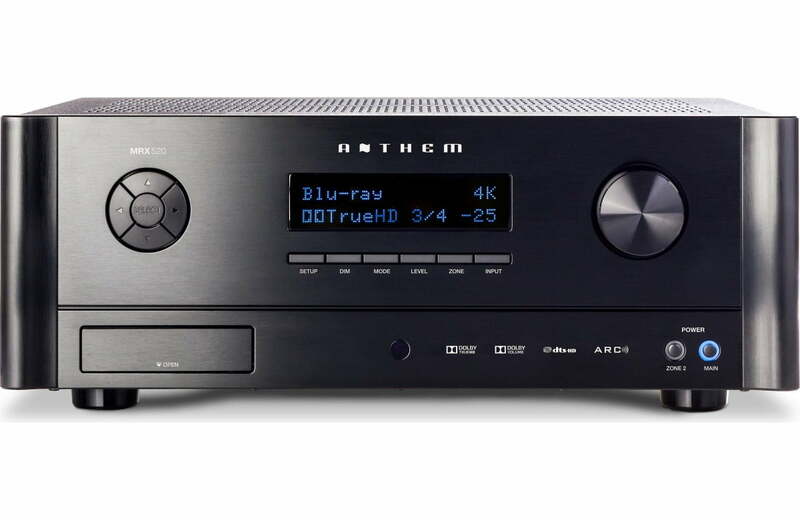 The Anthem MRX 520 5.2 – Channel Home Theater Receiver w/Anthem Room Correction will deliver the sound you’ve been craving. If you long for high-impact home theater with top-notch sound quality and cutting-edge video technology, take a look at Anthem’s MRX 520 5.2-channel receiver. It has full support for 4K and HDR, so it works perfectly with the latest Ultra HD TVs and Blu-ray players. 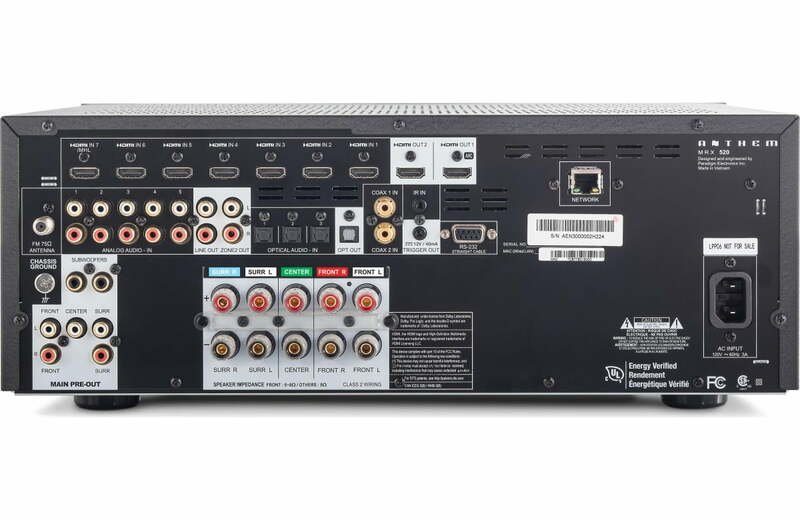 Premium digital-to-analog converters ensure audiophile-grade performance in stereo or surround sound. 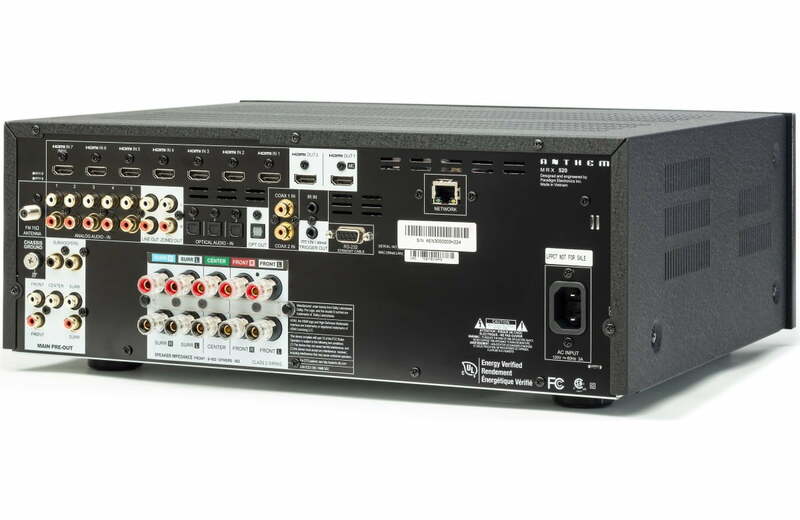 The MRX 520 puts out 100 watts per channel — plenty of power for medium- to large-sized rooms. And if you ever want a little more, 5.2-channel preamp outputs mean you can add an even bigger amp later on for any or all channels. 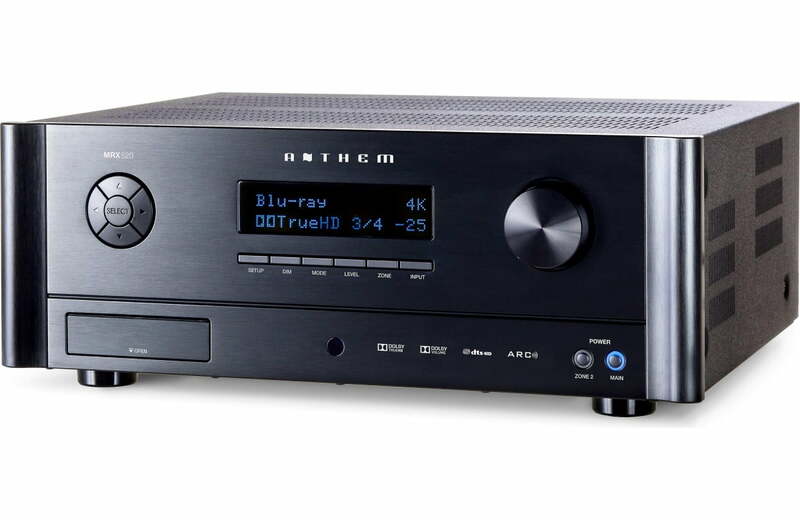 Anthem’s advanced ARC (Anthem Room Correction) speaker calibration system is one of the best. It effectively tailors the MRX 520’s sound to your space, correcting for problems caused by sound reflecting off of the walls, floor, ceiling, and furniture in your specific room. With the effects of these obstacles removed, your audio equipment delivers clearer, more natural sound. Run the included room correction software on your Windows PC, and measure multiple positions in your room with the included microphone. ARC takes advantage of your computer’s processing power for the best possible results, showing you detailed graphs of the response curve and correction applied to each speaker in your system. In our large training room, ARC was able to tame unruly “peaks and valleys” in the low frequencies, providing noticeably smoother, more detailed bass. Anthem Canada Limited Warranty 3 Years Parts and Labour.